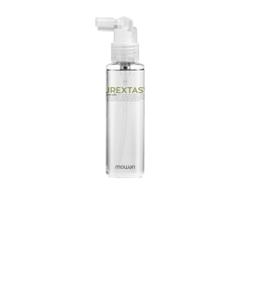 Protect and defend hair over time and effectively is the aim of the Purextasy Less Loss product line. Indeed, the beneficial properties of the elements present in the exclusive formulations developed for Purextasy Less Loss Anti-loss adjuvant shampoo, Purextasy Less Loss Anti-loss adjuvant conditioner, Purextasy Less Loss Anti-loss adjuvant lotion for man and Purextasy Less Loss Anti-loss adjuvant lotion for woman confer strength, vigour and glow to your hair. Combining the most effective active ingredients acts of hair follicle dysfunctions ensuring excellent results over a short period of time: volume and softness and improvement in micro-circulation, through the stimulation of blood vessels. INDICATED FOR: Stressed skin, poorly moisturised. Weak hair with a tendency to thinning. BENEFITS: Anti-loss treatment adjuvant, it helps strengthen the hair root and delays the thinning process*. It improves the health of hair, giving it volume and glow. Red clover is a widespread perennial plant that is cultivated in various countries around the world. Thanks to the presence in its extract of phytoestrogens such as genistein and daidzein, red clover effectively counteracts hair thinning and promotes a beneficial estrogenic action, favouring hair retention, in particular in women. With the term niacin or vitamin B3, one refers to two similar molecules: nicotinic acid (the actual niacin) and nicotinamide (the amide of nicotinic acid). Thanks to its ability to dilate blood vessels, nicotinic acid is a perfect anti-loss treatment adjuvant, enriching hair follicles with nutrients. Green tea is a type of tea that originates in China, and is made only with leaves that must not undergo any oxidation. Green tea is rich in flavonoids, vitamins, trace elements, catechins and other substances with antioxidant activity useful in the anti-loss adjuvant treatment. Ginseng has been used for thousands of years nearly all ancient civilisations, and to this day it has a central role in Traditional Chinese Medicine. Ginseng improves proliferation of dermal papilla cells. It stimulates blood flow to the scalp, slowing the hair thinning process. Furthermore, it improves the health of hair follicles and cells. Mode of use: apply on wet skin and hair by massaging. Rinse and continue the treatment with Less Loss Anti-loss adjuvant conditioner. Mode of use: apply on skin and hair, moistened by a damp towel. Leave in place for 3 minutes, rinse and continue the treatment with Less Loss Anti-loss adjuvant lotion. Mode of use: apply on the scalp and massage delicately. Do not rinse. It can be used daily.